Borrowing money from the people you’re closest to in life is probably the longest-standing method of funding entrepreneurial endeavors. Many people are hesitant to borrow money from friends and family for fear of straining personal relationships, but–if you make it a point to hold up your end of the deal under all circumstances and borrow only from individuals who are in a position to lend without risking their own financial health–it can serve as one of the most effective ways to fund a business. 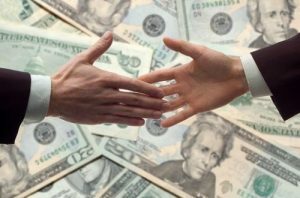 If you feel this is an ideal method for your individual situation, you can use an attorney to draw up documents on on-line portals to manage the process of borrowing from people you know to ensure all parties involved are comfortable with the deal and confident that all loans will be paid back on time. When raising money from friends and family you want to make sure you know what you are offering. You can offer debt or equity. Debt is probably the best way to go because your friends and family will not be involved in the day to day decision making process.